The most renowned Beretta competition over and unders now in a black and more technical edition. The competition over and unders to make your quantum leap in shooting performance. Black Receiver-Hyper-technical look and matte/polished finishings for this attractive receiver, immediately recognizable by the orange details. Slim and rounded forend, for a better grip and a more streamlined profile. Thanks to the Steelium barrels and to the outstanding balance, the new 690 competition shotguns provide accuracy, ease of handling and perfect control. Exactly what you need when you start aiming at your first 25. This model is also B-Fast Ready!! Buy your next shotgun from us if you are interested in the best possible service. 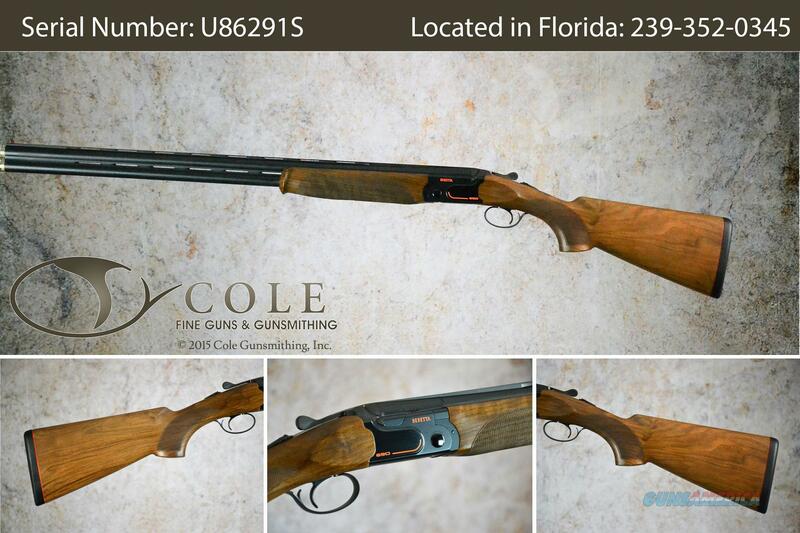 Cole Gunsmithing is a factory authorized service center for Beretta, Perazzi, and Zoli shotguns- we know Italian shotguns. Let us earn your business by using the knowledge we have gained over the past 35 years. Weight: 7 lbs 10 oz. approx.